If you've been reading my blog for any length of time, you know that Trevor LOVES mazes. He's not quite as obsessed as he was at age 4 when he had a maze-themed birthday party, but he still likes them enough that he frequently asks for, and gets, maze books as gifts. We all know to keep our eyes out for particularly unique maze books. 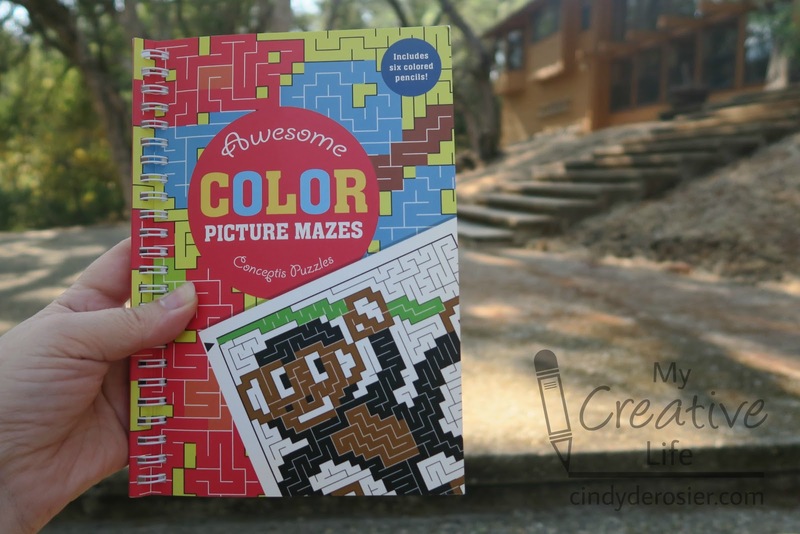 I have to admit that I was just as excited as Trevor was when he was given Awesome Color Picture Mazes (affiliate link). 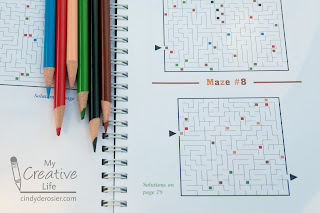 I've never seen a maze book like this before. 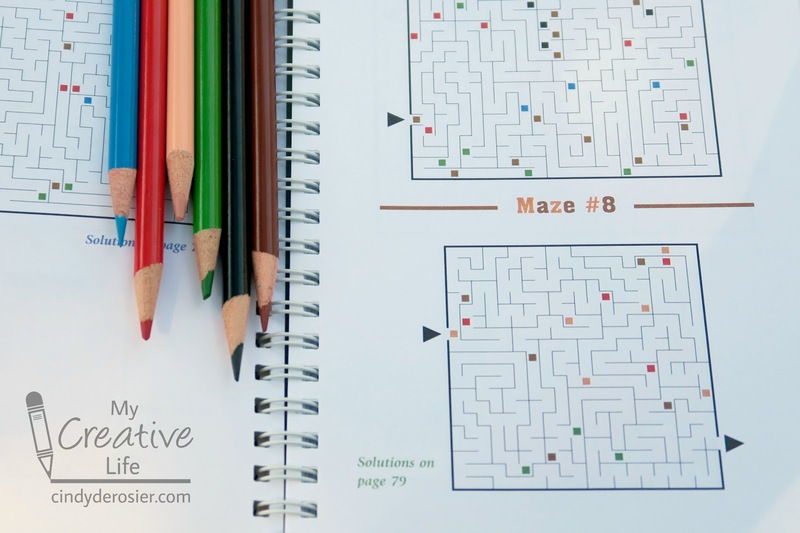 The spiral-bound book comes with six colored pencils that you use as you solve the maze. There is a colored square at the start of every maze. You color in the maze with that color, changing colors when you come to a different colored square. Like any good maze, there are plenty of wrong turns possible, so you have to pay attention and only color the correct path. It's really fun. 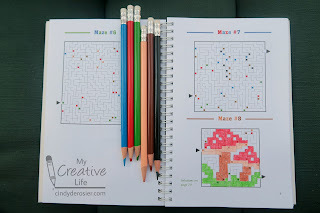 I know this for sure since I borrowed the book and solved one of the smaller mazes. Just to test it out, you see. I might need to borrow it again and try a more challenging maze. I like that there are lots of different sizes of mazes. 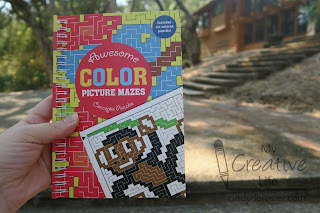 If you're looking for a unique gift, both Trevor and I recommend Awesome Color Picture Mazes. It's great for travel and equally fun for boys and girls. Trevor could have solved these mazes when he was very young, but for a typical, non-maze-obsessed child, I'd say that it's best for age 8 and up. (All the way up, since I'm 45 and think it's super fun). It turns out there are more unique maze books by the same publisher, each with their own fun twist. They are definitely going on Trevor's wishlist! Those are so cool! I'll need to get some for my nephews as well as Trevor! Ooh, those are cool and I've never seen anything like them. I will have to check them out!